Other than Little Neck, the Queens neighborhood in which I spend the most time is unquestionably Astoria, where I sit on the board of the Greater Astoria Historical Society and, as such, am often summoned to one meeting or the other. To make things interesting I get off at different stops on the Astoria elevated and make my way in meandering fashion toward the Quinn Funeral Home on Broadway, where the meetings take place. Who knows, maybe I’ll be laid out there before too long. 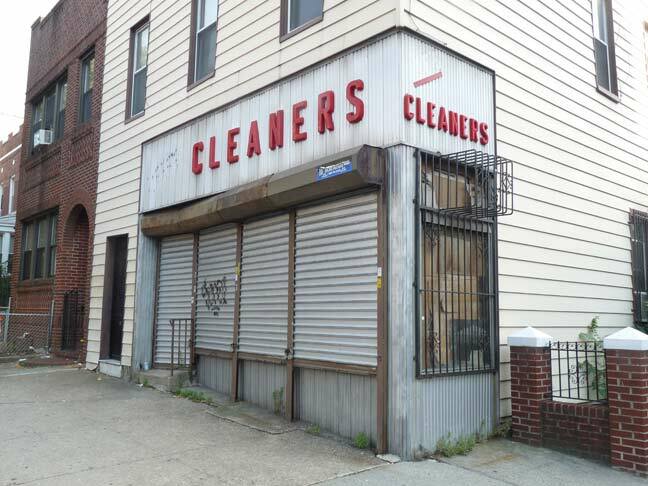 While shuffling up 28th Avenue in the dead dog heat of July I saw this forlorn former cleaners, undoubtedly once a dry cleaners, on the corner of 36th Street. There are certain businesses you can count on for old-fashioned signage. Liquor stores and bars lead the parade, followed by pharmacies and then for some reason, dry cleaners. While the sign has yet to melt in Daliesque fashion, its plastic letters have held up well after day after day of ninety degrees. But it’s only a matter of …. time. The sign and building look so very familiar to me, and they should, since I lived on 28th Avenue at about 33rd Street when I was just a tot. 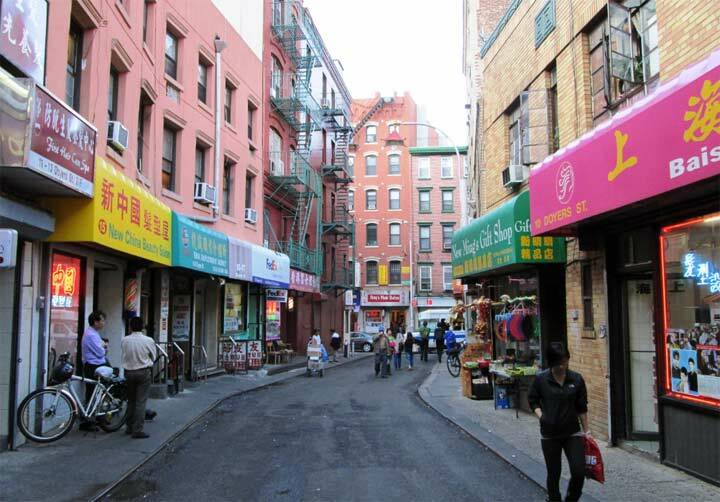 28th Avenue was once known as Vanderventer Avenue and led up to Steinway Street, where on the corner stood the Loew’s Triboro Theater, one of the forgotten movie palaces of yore. Mostly non-commercial, Vanderventer was home to low-key retail establishments like this cleaners and my grandfather/s bar and grill, which thrived therein the 1930’s. Jeez, you must have been around awhile to remember when it was Vanderventer Avenue. Well, yeah, I have been around a while, but I know it because It’s what my father always called it. I used to live at that corner 20 years ago and I think it was closed then as well and I have no idea why. It’s pretty obviously from the 60s. The dry cleaner/tailor that was there closed about 2-3 years ago and relocated right across the street.